Attention models or anyone who has aspirations of becoming a model. No one photographer can create a modeling portfolio for you. Period. Any studio who is offering to produce a complete modeling portfolio for you at any cost is just preying on your vanity. 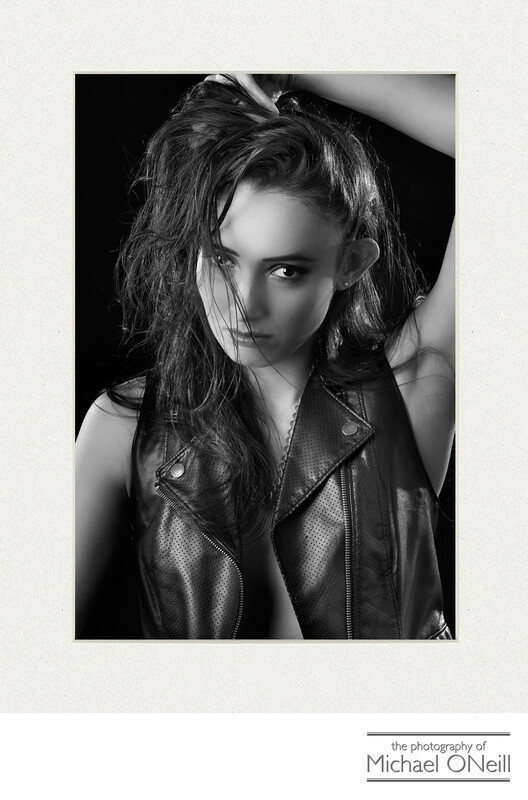 All great model’s portfolios are created over time by working with different photographers, different hair, makeup and wardrobe stylists and different studio and location settings. Your model’s portfolio should be diverse and no one photographer, makeup artist and hairstylist can make that happen for you. If you’re serious about becoming a model plan on spending some time putting your portfolio together. For every new face that wants to become a top model there is a photographer out there who has aspirations of becoming a top fashion photographer. Collaborate with each other and together you will build your books. It’s called "testing" and the best models and photographers have been doing it for years. The first thing you do need, however, is a great headshot. The headshot is what you will leave behind when you go on a "go-see"...the fashion world’s equivalent of a job interview. Your headshot can be a s dramatic or as subtle as you would like it to be. Most models put together a card with multiple images of different looks, created at different locations, by different photographers. If you’re interested in getting a couple of great head shots I have reasonably priced sessions available where we can create a number of different looks together in a relatively short period of time. See the info page on this web site for pricing information. If you are a male or female model, have a great look, coupled with a really cool concept for a photograph, drop me an email with a link to some of your pictures. After thirty years in this business I still do testing on a limited basis and I am always looking for fresh faces to explore new creative ideas with. Best of luck with your aspirations. I hope to work with you on a creative basis in the future.